For example, a student who is drawing pictures instead of working on his class assignment may react by cursing or throwing his pencil when his teacher tells him to finish the task. The teacher may discover verbal requests to work and other demands are antecedents that trigger problem behavior. Common antecedents include critical feedback from others, absence of attention, and specific tasks or activities. The consequence may be that the teacher sends the student to the office every time he curses and throws his pencil. Over several observation sessions, it may become clear that the student is engaging in problem behavior to escape from his class assignment. 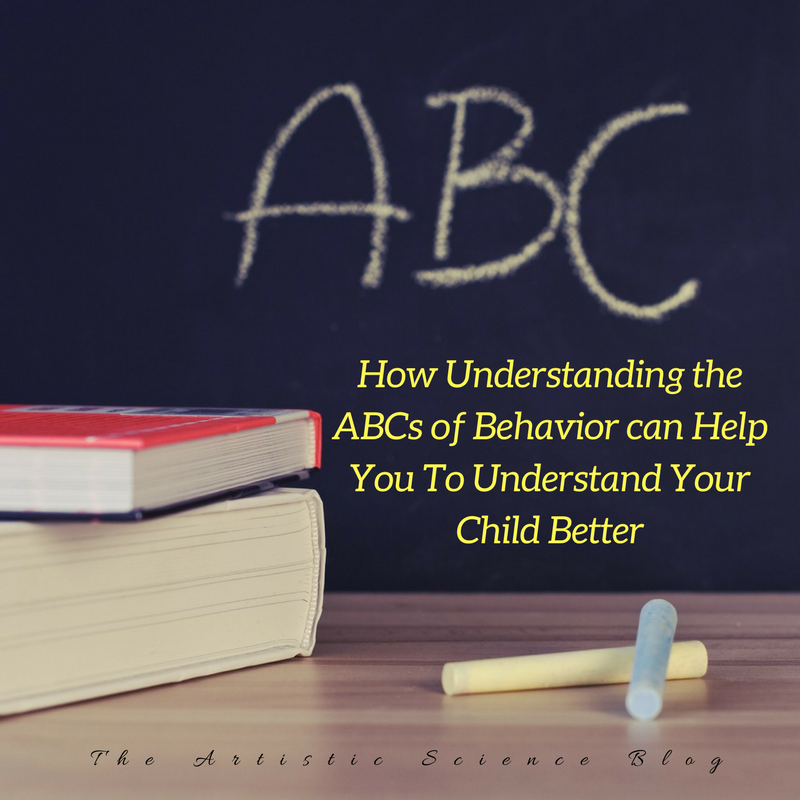 So, in the scenario above, understanding the ABCs of the behavior should help the teachers to implement strategies to extinguish the behavior. My suggestions may be to change/eliminate the antecedent/trigger. Also, it may be necessary to change the consequence. If the verbal request is truly the trigger to the problem behavior, teachers may try making more generalized statements to the class rather than to the student himself. Perhaps the student would feel less singled out/criticized. Therefore, he would not feel compelled to behave inappropriately to communicate his discomfort. If the consequence of the behavior continues to positively reinforce the behavior, it will continue. As a result, ensuring that the consequence is truly negative is necessary. In this case, the student should no longer be sent to the principal’s office. Instead, he should be moved to a different room to complete his work. This would reinforce the fact that the student’s behavior will not get him out of his school work. As a result, the student may no longer feel compelled to swear and throw his pencil. Certainly, the student’s behavior and avoidance of completing his work could be the result of some underlying difficulties. If that is the case the student may replace his problematic behavior with more severe ones. Ones that he is sure will land him in the principal’s office. Allowing him to avoid doing the work. As a result, a reevaluation would be necessary. Perhaps in this case the student has a learning deficit that is undiscovered. This would mean that the triggers for the specific behavior could be the difficulty level of the assignment rather than the teacher’s redirection. Consequently this would mean that a more comprehensive plan is necessary to extinguish the behavior. There are always many possibilities to the root causes of behavior. I find that breaking it down to these three distinct stages helps to at least start the conversation. It serves as a reminder that behaviors are a form of communication. Furthermore, it helps to remind us that we are complex beings. As a result, we should never expect that problems are easily or quickly fixed. I find that when I bring the ABCs of Behavior up with parents two things happen. The first thing is that they suddenly feel that the behavior is manageable. The second thing that happens is that they realize that changing the behavior takes a lot more thoughtful energy than previously expected. The key here is to ensure that the energy is being directed in the right place. Often times a considerable amount of energy is directed towards the consequence. Which makes sense. We are a very reactive society. Therefore, it is not always intuitive to be proactive and preventative. So, as we think about antecedents and triggers, a whole new world of possibilities crops up. This allows for a sense of hopefulness. Consequently, this approach also opens the door to more empathy for the child. Because, in order to extinguish the behavior it is necessary to understand where it is coming from. To understand where the child is coming from. As I’m sure you know, parenting is not an exact science. It is an art that requires practice, making mistakes, and most of all thinking outside of the box. Often. The ABCs of behavior allows us to think outside of that box while ensuring we still hold on to necessary perspectives. Below you will find an example of an ABCs of Behavior Chart. Feel free to replicate it for yourself. It is helpful to write the different parts of a behavior down as you analyze ways to extinguish it. Just make sure you are not using this to keep count. Rather, make sure you are using it for its intended purpose. To align with your child’s intention in order to replace negative behaviors with more positive ones. Good Luck. Please don’t hesitate to reach out if you need more information. Or if you want some coaching around how to implement this on your own.